A riverside gem rich in Australian history, Yanga Woolshed in Yanga National Park is one of NSW’s historic locations and a great venue hire option for those looking for a scenic location which is uniquely Australian. Please contact NPWS Yanga office on (03) 5020 1764 for further information on fees and availability. Bookings for this venue are essential, and will be accepted up to 12 months prior to the date required. A completed application form is required to confirm the booking by contacting the NPWS Yanga office on (03) 5020 1764 and should be lodged no later than 6 weeks prior to the event. A signed consent will be issued outlining the conditions that must be adhered to for the duration of the event. 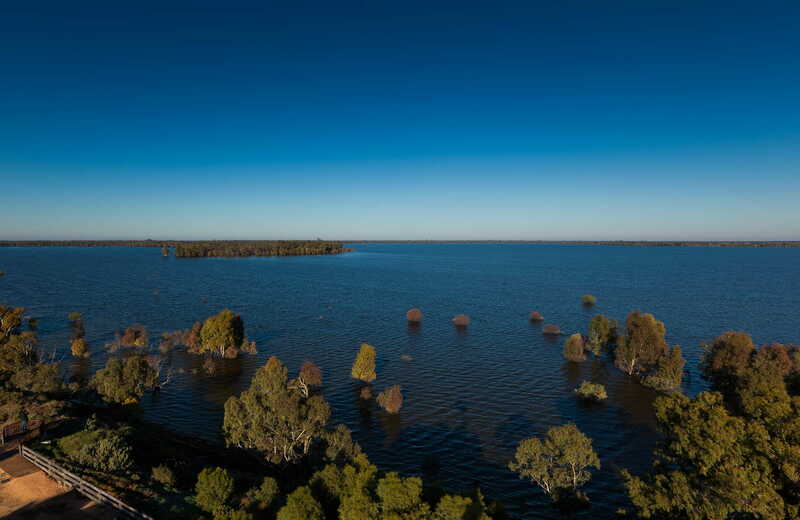 Water is not available at Yanga Woolshed, so you'll need to bring your own. 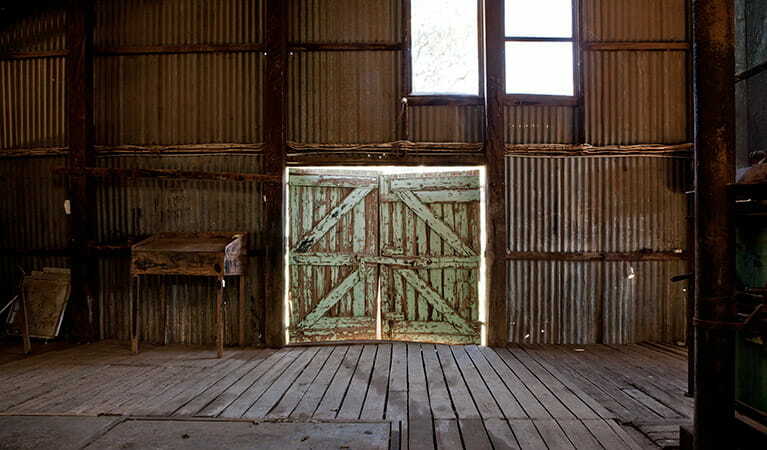 Located along Murrumbidgee River, Yanga Woolshed was built in the late 1800s. 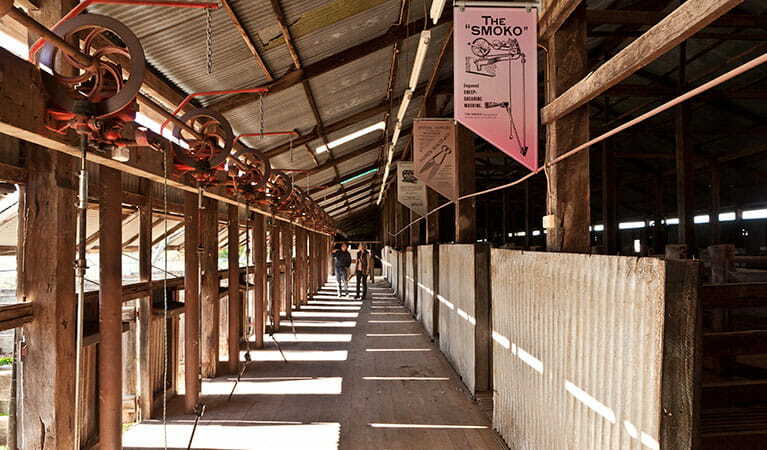 Once the largest, most modern woolshed in the district, it housed 3,000 sheep and provided work for up to 40 shearers at a time. Today, the woolshed is in Yanga National Park, part of Murrumbidgee Valley National Park, and is a unique venue hire option, offering a feel for an authentic 19th century woolshed and a taste of Australian history. 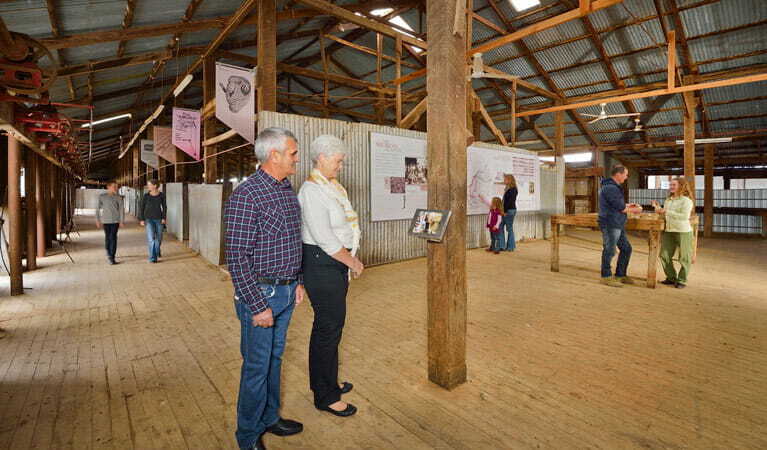 Here, you’ll find an interpretive display to fill you in on the history of the area – once Yanga Sheep Station. Close your eyes and breathe in the smells of the past, imagining the sounds of docked paddle boats outside, waiting to transport their wool cargo down the river highway. You and your guests can check out the viewing platform for great river views – it was once where the old wharf stood. You can also explore Yanga Woolshed picnic area, or stay overnight at Mamanga campground for a true Australian bush camping experience. Yanga National Park is open Sunrise to Sunset but may have to close at times due to poor weather or fire danger. Yanga Homestead Precinct is open 8.30am - 4.30pm. Contact hours: 8.30am to 4.30pm daily.